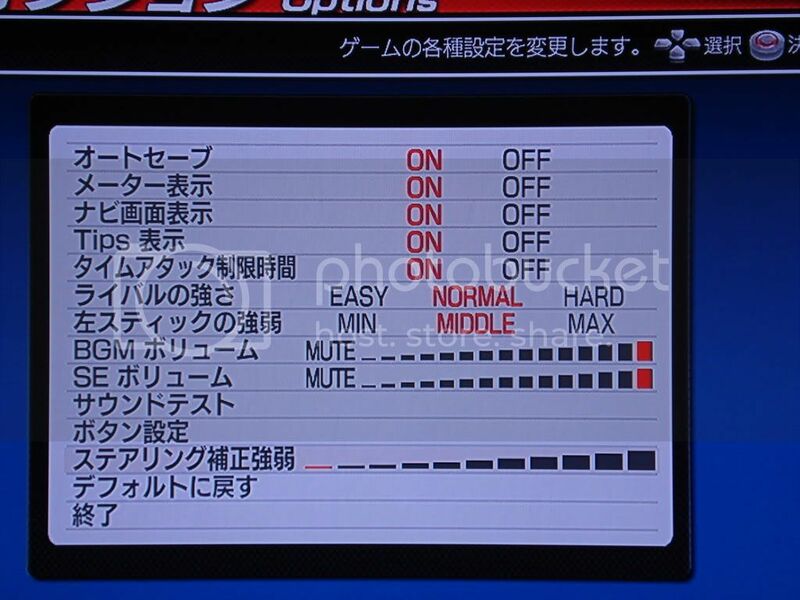 If it isn't oo much of hassle, could someone please translate ID:ES's menus and options screens and post here? Heres the neccessary parts of the asian manual with english translations. Not in great quality as it has been taken by a phone camera only. Note that the translated manual is for the asia version and hence does not cover the network battle mode. That's a whole other sea of text to swim through. Yes, I looked at those pictures and knew something was missing ...but I really didn't see any use for the manaul (for me anyway) with my limited knowledge of the language I should be able to navigate my way around. ok is anyone willing to translate the option & online menus like how they translated the pages for how to make a JPN PSN? I don't have the game yet, but if I could get a video/screencaps of the menus I could try. Yeah, I would like that too. Tesso, maybe when you get the game and you have some time to spare, you can translate it for us? I won't get it until at least next tuesday, so you'd have to sit tight for that. I get mine on Monday..
By the way, have any tips for a rookie? I've only played this game a couple of times, just only on the PSP. anyone wanna translate the options menues? and the online. I don't read manuals in English. I can't imagine reading one in Japanese even if it has been translated. can anyone find out which one is the FFB setting? i assumed it was the last one so ya. When a race is finished, we have points, but for what exaclty? On the screen the last 2 lines are for the total of the race and total overall. But the others are for what? thanks EMAGDINM now what's the NORMAL and MIDDLE for? Can anyone translate to me the menus as below screenshots ? Below screenshot is it just can see comic?unlock or download ? Download the ghost car data of the top racer in this chart and launch the Time Attack mode in the game ? download more cars' data, avatars, music ?is it need japan psn? what are you guys doing about the tuning section... any translation for this yet. I've started translating the online mode menus into English, if you have something I don't have or want to correct me, please contribute in this thread. Just choose agree and start the game. Before the race starts in Ranked and Free Battle each player will have an option that says "Car Boost" and the option of "On or Off". Both players have to choose "Off" for it to be disabled. Here is the Free Battle submenu (after you pick a course), at the bottom of all the courses is Free Course Select, means you can make or search for a room where the players can pick the tracks they want. Garage Mode is the same as the offline Garage, except one extra option to Download Stuff, but there is currently nothing to download. I'm having a serious probem trying to download the replays, I don't know how, so if anyone knows how please let me know. I also noticed that it takes FOREVER for any of the ranking data to load up. Anyone else having this problem? Like I said, this is not complete, but if anyone else wants to tackle the other submenus, please do. I also haven't figured out how to make a room yet, can you? Or do you just join the rooms that exist on the server at all times for each course? DK, thanks for this. That's AWESOME. I think what would help with this (and this is for anyone who is so inclined) if we have a menu screen capture (screenshot) and under or above it, have Devil Kitami's translations. Great job thus far.